I am not going to repeat the detailed argument he makes in his book; needless to say it is impressive. Many today find numbers are impressive; that’s probably why he uses them. He points to Biblical prophecies and the statistical probability that they would come true. Chances are they would not…yet they did. One can look at Old Testament prophecies and see that they came true in New Testament Scripture…over a period of 1,500 years in a series of sixty-six books written by forty men on three continents [Africa, Asia and Europe]. One thousand five hundred years is a long time for a book to be written, especially when you consider that the unity in The Book is there with no committee assigned to keep all the writers centered on a central theme, yet there is a central theme: “humankind’s sin predicament, the resulting separation from their Creator, their inability to restore relationship with Him and the divine answer of the Messiah” [Bevere, 32]. Using a different approach, one can look at The Bible and how it has been put together. Recently, I was in a group discussion where people questioned the Bible due to its many translations. Inherent in their argument was the idea that fallible human beings took the Bible and recopied it by hand, making many human errors. There is a problem with that idea. There is evidence that there was amazing accuracy in the copying of the Bible. Let’s take the Old Testament. Someone brought up the idea that we don’t even have the original “Old Testament.” That’s true. All we have are translations but those translations were not constructed in a carefree manner. Take a moment and look in the preface of your Bible translation and if you want to plow through the details of the planning for the construction of your translation; there you will see the serious methods that were used for your translation to be done. 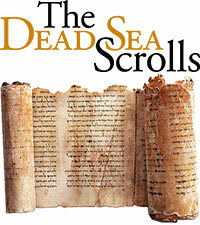 In 1947 the famous Qumran Cave Manuscripts [Dead Sea Scrolls] were discovered. Doubters will still say that those manuscripts are not “The Old Testament.” However, the Qumran manuscripts were very old; they were one thousand years older than the oldest Old Testament manuscript being used in 1947. A miraculous conclusion occurred when Qumran manuscripts were compared to translations being used in 1947. Scholars found 95% accuracy. That does not sound like careless copying to me. People may wonder why we don’t have more original versions of the Old Testament. The obvious reason is that two or three thousand years is a long time for documents to last. What is amazing is that we have the fragments that we do have and they are so true to Biblical translations that are in use. The New Testament is another story. That portion of the Bible is not as old as the Old Testament so copies of the New Testament only go back to the time of eyewitness accounts of the times of Jesus. There are so many extant copies of handwritten New Testament manuscripts [5,366 within 100 years of the life of Jesus] that there is less worry about accuracy and much more material to work with. Do we have the actual handwritten copies of the writers of the Gospels and other New Testament authors? No, but we have many different Testaments to compare which can form a baseline for accuracy. Again the serious nature of translation construction can almost guarantee 100% accuracy. Today, in English alone there are about 900 English versions of the Bible, an overwhelming number when one begins to decide what version to buy. ** The version of the Bible I am reading now focuses on the Divine nature of The Book; it is the Amplified Bible. At the end of many verses in the Old Testament there will be brackets which will refer to New Testament connections you can look up. In the New Testament, the same thing occurs. New Testament references have brackets so one can look up the Old Testament connection. I remember the first time I had the privilege of attending a Disciple Bible Study at my church. I remember how amazed I felt when the Pastor who was leading the study pointed out the prophetic passages of the Old Testament. I was not a very experienced reader of The Bible in those days so this fact “blew me away”, to use a common expression. Over the years, the evidence for the Divine nature of Scripture has piled up to the point that I have no doubts about the Bible. My proof is based on my personal study of The Book and my experiences as a believer. When people point to the age of The Bible, criticize it because it was written in patriarchal cultures, or even admit that contemporary literature can raise doubts, I just smile. If they would just begin to study, all those doubts would begin to slowly go away. *pp. 33-38 in his book Good or God?